Who has time to read books? We all should, but it's tough to know what is worth reading. 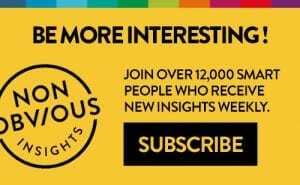 Each week, this blog will spotlight a new book relevant for marketers or people in business with ideas worth learning and sharing. Through a combination of a personal interview with the Authors, and short review – you'll get the basic premise of the book and why you might want to read it. 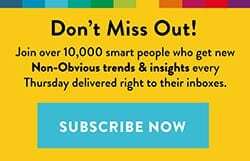 To recommend a book to be featured, send an email pitch to influentialmarketing@gmail.com. 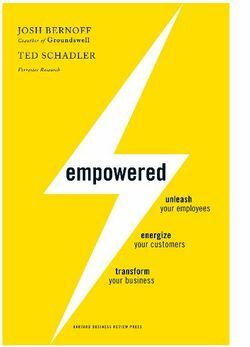 This week's featured book is Empowered: Unleash Your Employees, Energize Your Customers, and Transform Your Business, a follow up from the co-author of the best selling research-based overview of social media – Groundswell. 1. What inspired you to write Empowered? After talking to hundreds of companies, I figured out that the real challenge was not just what to do about social, but how to do social within the context of a company. 2. What is the big idea of the book? Customers are more empowered than ever, and move quickly. The only way to keep up with them is to empower your own employees to solve their problems. This means anyone within a company – in marketing, in sales, in support – must be empowered to create technology solutions. 3. Who is the perfect person to read this book? Managers in any department – marketing, support, IT, HR, senior executives – who want to know how to run their companies in the age of the empowered consumer. All the books that are reviewed in this series are worth your time. That's why you won't find any negative book reviews on this blog. As an Author myself, I have hundreds of book on my shelf and have researched hundreds more. I get many invitations to preview books and choose just one every week to share here on this blog. 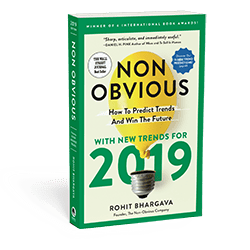 Read my other book reviews at https://rohitbhargava.com/book-reviews/.